This Baptism Celebration was like none other. 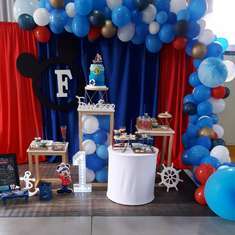 We had the pleasure to design and style this fabulous celebration with a royal theme in mind. 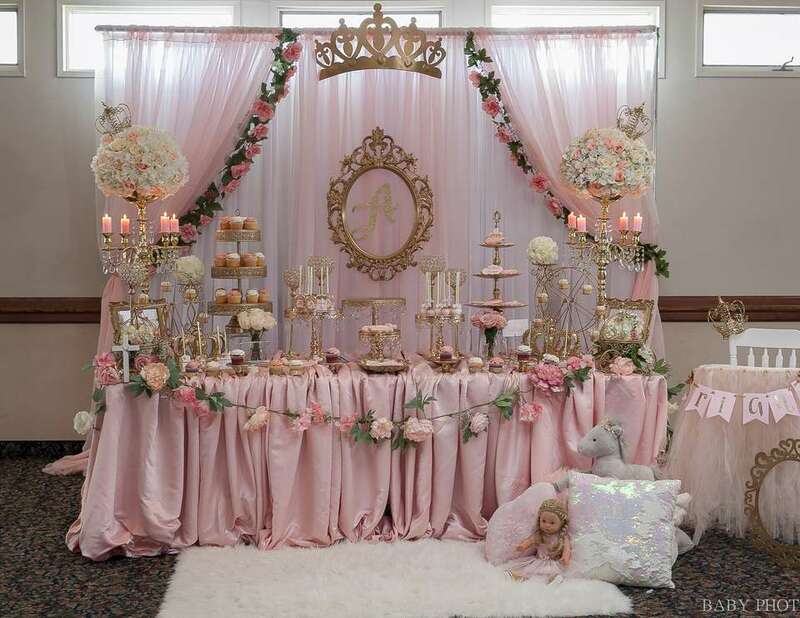 Mom came to us and showed us a picture of our Winter ONEderland Princess Party but she wanted gold everything and one thing that could not be missed was the gold candelabras. So we decided to go with a Royal Princess theme. The dessert table was adorned with gold candelabras and lots of flowers, candles and beautiful crystals. 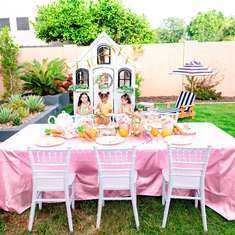 The desserts were designed to fit the theme with gorgeous crosses and princess details. She had a three tiered cake, of course, she's a princess! Centerpieces included gold lanterns surrounded by beautiful flowers and candles. 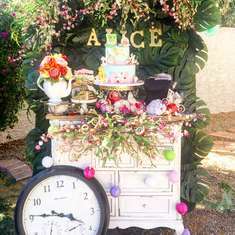 Her throne was a vintage Jenny Lind high chair we upcycled specifically for this event. Mexican dishes were served along with traditional appetizers. Open bar, soft drinks, juices and more! Cake, Cake pops, RKT, Oreos, Cookies, Chocolate covered marshmallows, chocolate covered pretzels, cup cakes. These beautiful saints that were custom made in Mexico just for this event. There was a band and a dj. She took photos of the event and did not miss a detail. Monica assisted with décor, design and set up.